﻿ Made in India missiles big hit! Countries across the Globe show interest in buying BrahMos, Akash. Made in India missiles big hit! Countries across the Globe show interest in buying BrahMos, Akash. The government has been receiving proposals for the Indo-Russian joint venture BrahMos Missile from as diverse as ASEAN countries, South American nation Chile and South Africa which is a member of the BRICS Grouping. The BrahMos has been developed at a low budget of $300 million. India’s lacklustre effort to sell indigenously developed missiles has helped neighbouring China to boost its export prospects of its weapons system to potential buyers, which New Delhi has been eyeing. ASEAN nations have approached India seeking to purchase major defence and weapon systems from India, including the Akash and BrahMos missiles. As has been reported earlier by The Financial Express, export of Akash and BrahMos missiles was topping the agenda of talks when 10 ASEAN leaders met during the ASEAN-India Commemorative Summit in New Delhi on the eve of India’s Republic Day in 2018. Highly placed sources have confirmed to the Financial Express Online that the Indo-Russian joint venture BrahMos is also in discussions with other countries, including Philippines, South Korea, Algeria, Greece, Malaysia, Thailand, Egypt, Singapore, and Bulgaria. “India has never exported any weapons systems, except armaments ordnance, which is not real defence exports,” explained a senior officer on condition of anonymity. Some of the countries from the ASEAN region as well Gulf countries have also expressed interest in buying ‘Akash’ missile designed by Defence Research and Development Organisation (DRDO) and produced by defence PSU Bharat Electronics Ltd (BEL), has an interception range of 25-km, which are meant to keep fighter aircraft, helicopters and drones from attacking critical installations. As has been reported earlier, Vietnam was negotiating with India for both BrahMos and Akash missiles. While the government clarified that BrahMos was never being discussed with Vietnam, discussions related to Akash missile fell through as the pricing is one of the issues between the two countries. “The government should have intervened to ensure the deal goes through as that would have helped India get a foothold in that country. Also, exports at this level not only boost the economy, it also gives strategic hold in the region,” said the senior officer quoted above. During the recently concluded Aero-India 2019, Russian officials confirmed to Financial Express Online that they had no objection to export BrahMos Missiles to friendly nations. 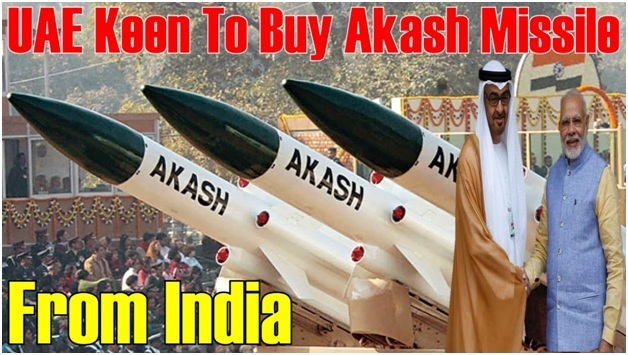 Countries like UAE have also expressed interests in both the `Made in India’ missiles. Last October DRDO had made a presentation for the `Akash’ surface to air missile system to UAE Minister of State for Defence Affairs, Mohammed Ahmed Al Bowardi Al Falacy. The UAE after visiting the BEL facility and meeting with DRDO officials had expressed keenness on the indigenous missile system along with other platforms. India has consciously tried balance its relationship in the Middle East and has so far not finalised deal for any system in the region and the same for the South American region. Lot of interest was generated in the South American region after the successful launch of BrahMos from SU-30 aircraft against a sea target, as many countries have opted for the Sukhoi aircraft from Russia.